Eliminate the hassles associated with watering your Christmas Tree. Sets up in minutes with a simple 3 step process. 1.) Attach tube to funnel: run tube down through Christmas Tree keeping the tube near the main trunk of tree and into the water basin. 2.) Clip Funnel to Branch: At a comfortable height for pouring. 3.) Strap Tree Nanny to trunk: at basin using Velcro straps making sure that short probe is at least an inch below the desired level of water and that the tube is on the opposite side of the trunk. Requires 2-AAA batteries (not included). If you have any questions about this product by TreeKeeper, contact us by completing and submitting the form below. If you are looking for a specif part number, please include it with your message. 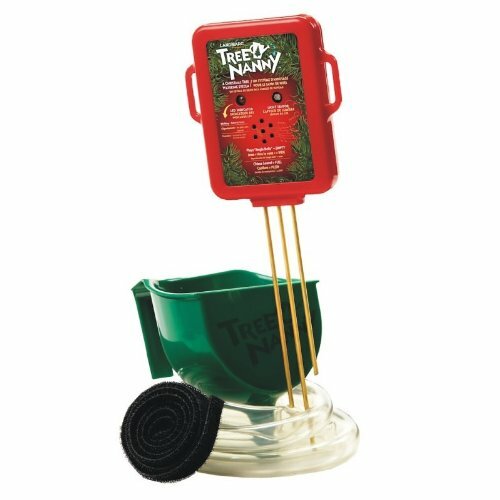 Jack Post Christmas Tree Watering Funnel - Makes Watering your Live Tree a Snap!